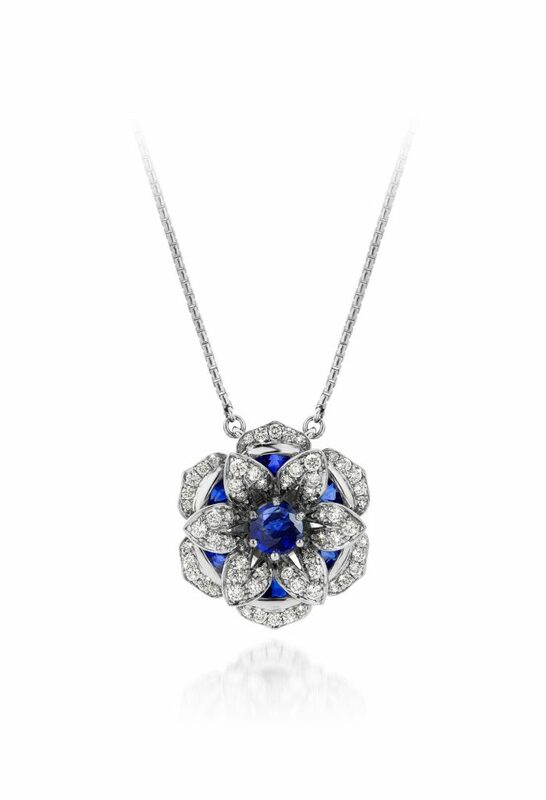 This lotus with 6 leaves in 14 carat white gold with brilliant and trilliant sapphires, has a special depth because it consists of 2 layers and you can see through it into the core of the flower. 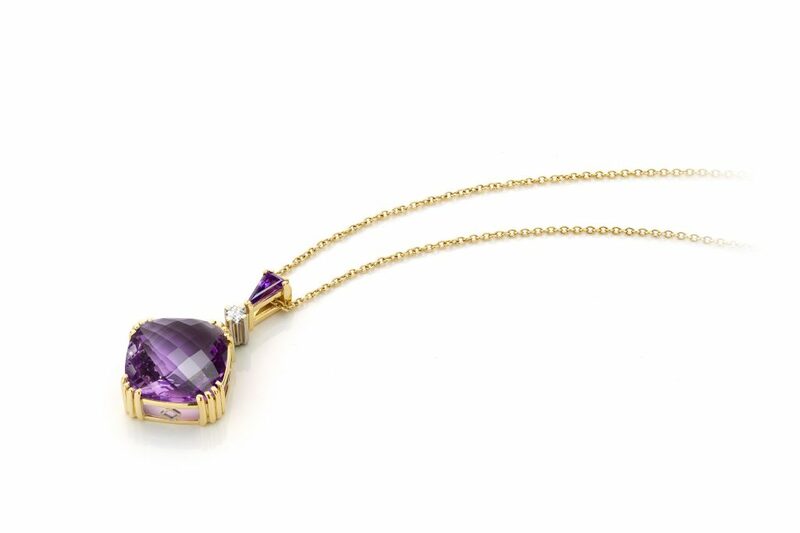 Amethyst with diamond pendant in a special cut. The big stone is set on 4 corners with 4 claws, which gives it a classic look. 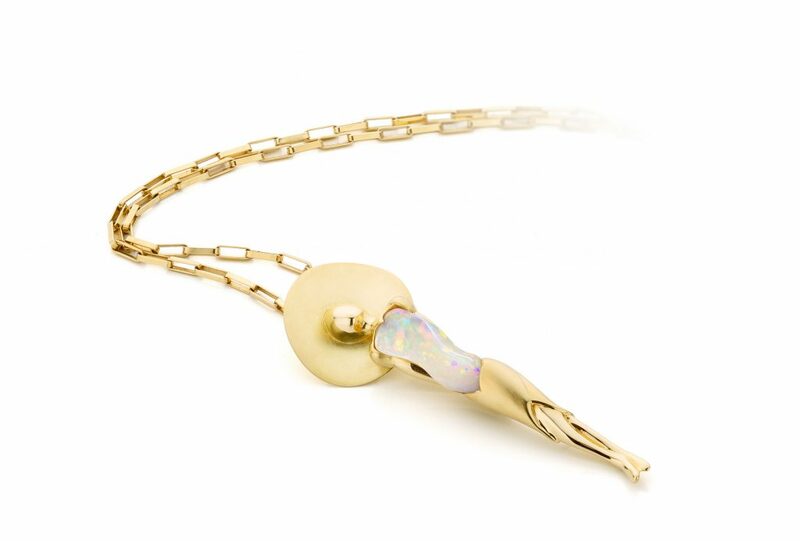 Beautiful opal that represents the body of a female figure. This uniqe necklace is a feast for the eye. 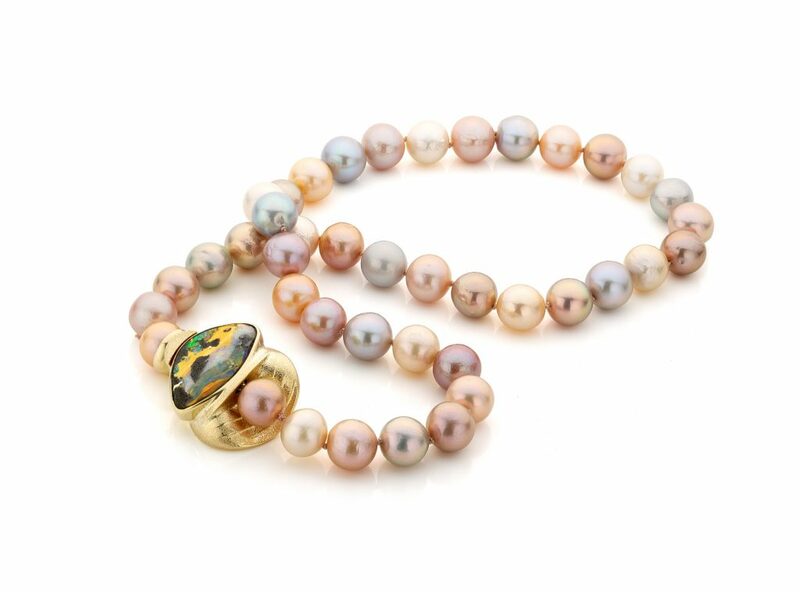 This multi colourd freshwater cultured pearl necklace is completed with a 14 carat necklace closure with bolder opal. 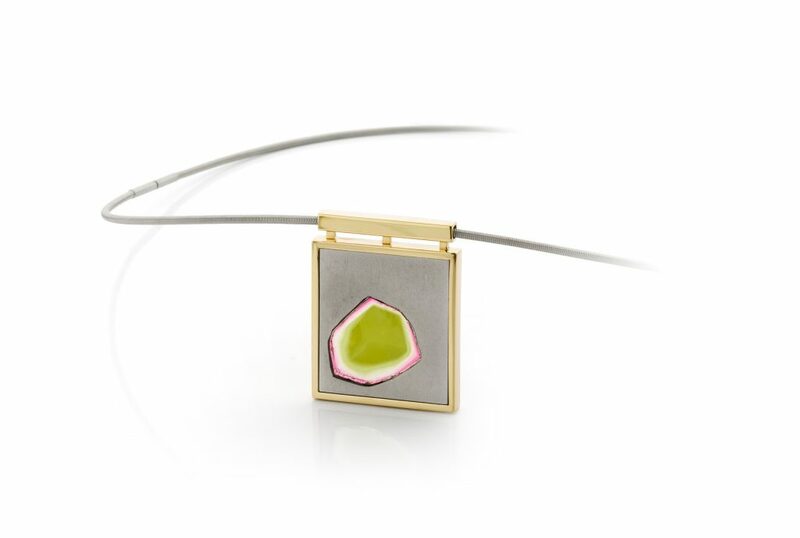 Titanium with 14 carat yellow gold and watermelon tourmaline. 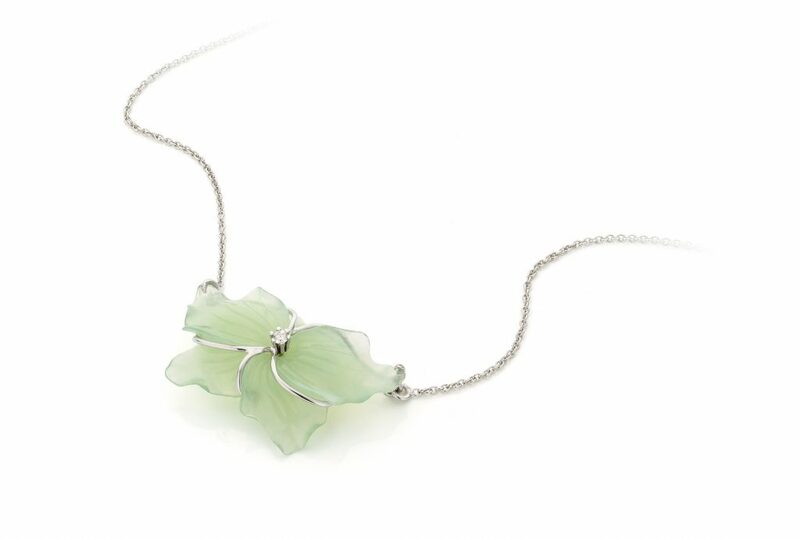 Serpentine leaf with 14 carat white gold and brilliant. This pendant is timeless, classic and one-off a kind. 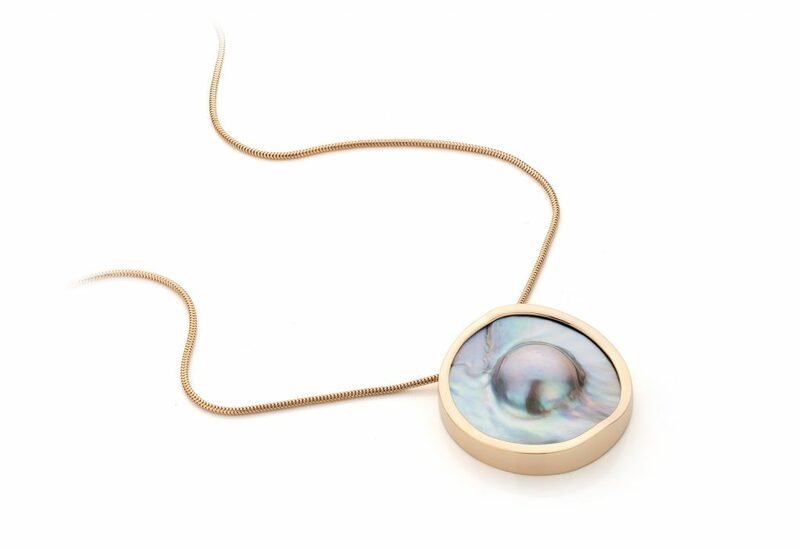 A pearl grown against the shell of a freshwater mussel and mounted 14 carat red gold. 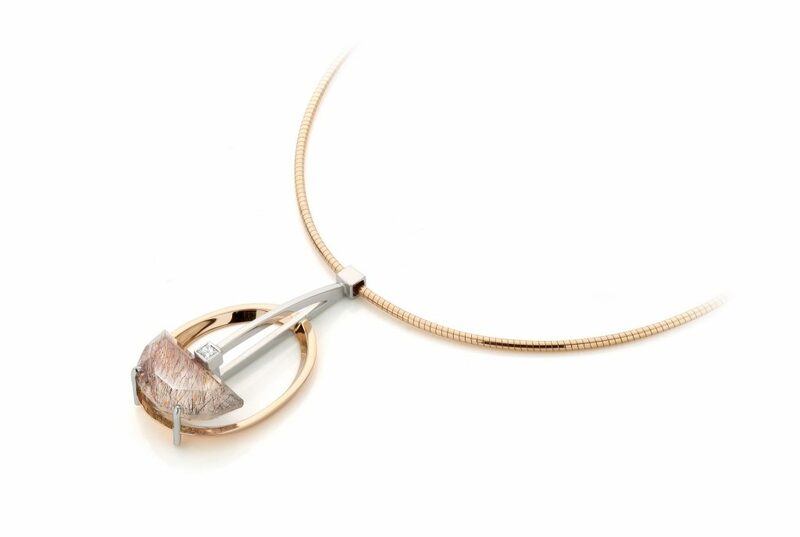 Red gold necklace with pendant in which a princess cut diamond and strawberry quartz is mounted in a open design.